With Valentine’s Day right around the corner, it’s definitely time to start working on some heart patterns. So I thought it would be fun to share some heart themed projects all along. Crochet heart patterns are always a popular choice at Valentine’s Day. 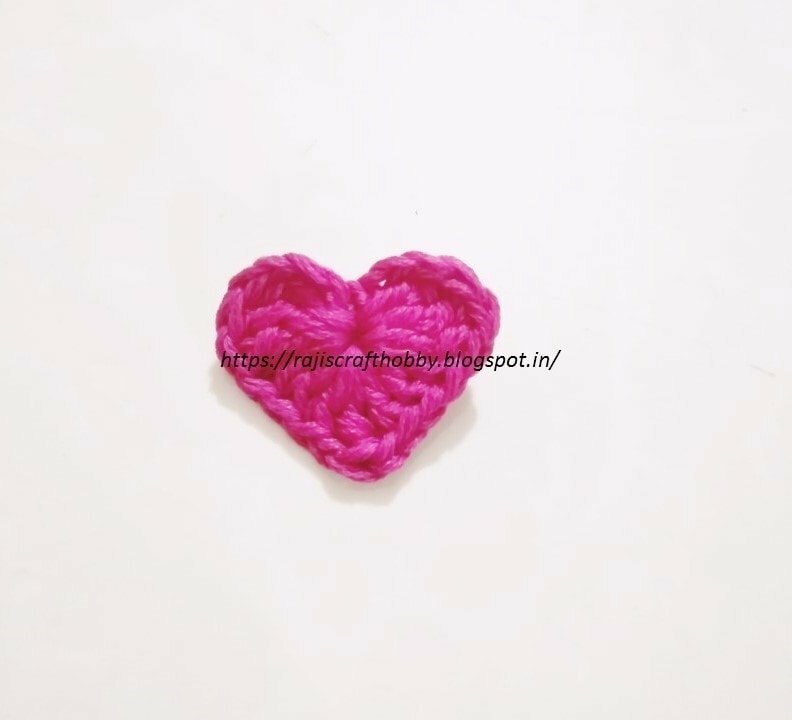 Here am sharing the pattern for this Small Crochet Heart Applique. These are just about one inch in size. Crocheting hearts is so much fun to do. And you can use them in so many ways. These crochet heart appliques are perfect for embellishing anything. Use them on headbands………hats……….bags…….baby clothes…..gift bags…just about on anything and they would look super cute. Crochet hearts are also an easy to start project for beginners, and a perfect choice for Valentine. These would be great to add to any Valentine’s Day gift.